Audio specialist Denon has just unveiled its latest home audio device, HEOS AVR, the newest member of its popular HEOS multi-room family. The firm's first dedicated multi-room receiver, HEOS AVR brings multi-room audio to the heart of your home entertainment system, making the convoluted and often messy concept of surround sound clean, easy and wire-free. Yes, we said 'wire-free'. It offers up to 5.1 channel top-class surround sound, with the simple setup and operation of a soundbar, so you can have cinema-style sound right there in your home with the right tech. 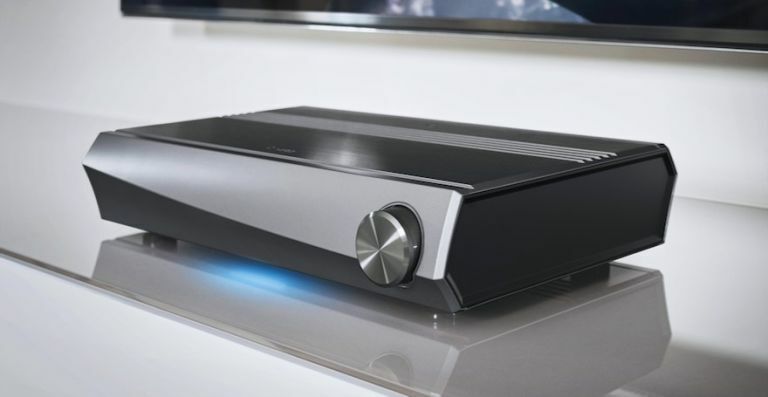 The Denon HEOS AVR will be available in Gun Metal Grey with a price tag of £799. It'll be ready for purchase from next month. This year's Geneva Motor Show is underway and all the biggest manufacturers have taken to the show floor to unveil and show off some of their latest models. Audi was such mega brand, showcasing the Q8 sport concept (pictured above), the RS 5 Coupé, RS 3 Sportback and SQ5 TFSI, the A5 Sportback g-tron and the RS 5 DMT. The Q8 has us really excited, mainly because this full-sized sport concept combines a 3.0 TFSI six-cylinder engine with a mild hybrid system and an electric powered compressor. And with its 350 kW (476 hp) and 700 Nm of torque, the car sprints from 0 to 100 km/h (62.1 mph) in just 4.7 seconds – and reaches a top speed of 275 km/h. That's pretty nippy for a car this big! Elsewhere at the Geneva Motor Show, we got to see the world debut of the new Lexus LS 500h, the full hybrid version of Lexus’s new flagship saloon. With its imposing, Vader-ish grille the LS 500h is one impressive looking saloon and the combination of a long-wheelbase four-door saloon with a low, coupe-like profile you're getting versatility as standard. The powertrain features a 3.5-litre V6 Dual VVT-i V6 petrol engine and two electric motors, which are mixed together with Lexus' own Multi Stage Hybrid System, a technology that transforms the performance and driver appeal of hybrid, providing improved responsiveness and more rewarding, linear acceleration. Keep an eye on this space as we'll have a roundup from the Geneva Motor Show featuring the best new cars and driving tech very soon. The winners of the fourth annual Wearable Awards were announced this morning , with the likes of Snapchat, Apple and Google picking up gongs across many a gadget-focused category. Google bagged Best App for Android Wear 2.0, while the Apple Watch 2 won Best Consumer Product. Elsewhere, Snapchat claimed glory in the Crunchwear Editor's Award, the Epson Moverio won Best AR/VR Technology Platform and Petcube claimed the Smart Home Award. The awards were announced as part of this year's Wearable Technology Show, which is currently taking place at ExCeL in London. Why not check out... What are Snapchat World Lenses and how do they work?